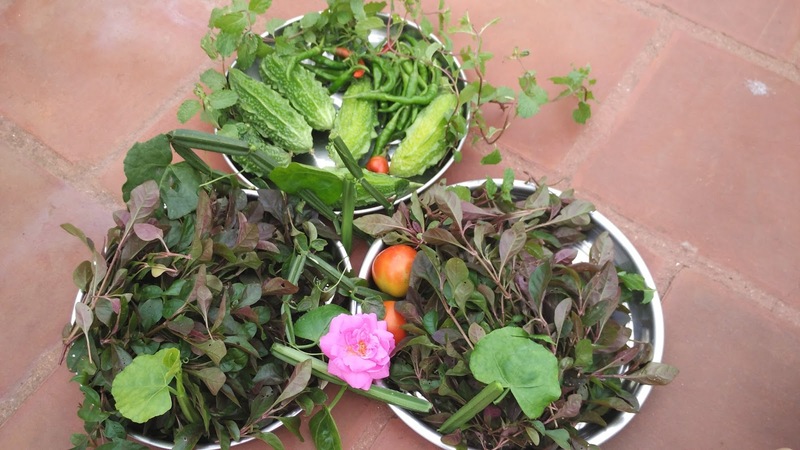 City Gardening, Creativity and Women Empowerment: Vardah????….Vardah????…Vanthuchaeeee!!!!! Dec 12,2016 : 8 AM – Not sure why I have started to Office even after the dreadful warnings and announcements regarding the Cyclone which is going to shatter Chennai, when I have many loved ones who only I can take care and this ironically is inclusive of my own self. Probably I had over confidence that nothing ever would harm me or my loved ones. Dec 12,2016 : 8:45AM –There was not much of panic and chaos in reaching office except for the slight drizzles and the cold umbrella deforming breeze which indeed made the day more beautiful. 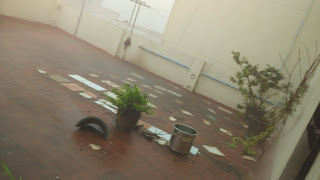 Dec 12,2016 : 9 to 11:49AM – Trepidation started to spread inside the office atmosphere as Vardah was getting stronger and starting to daunt the city. My colleagues and I were anxiously enjoying the howling of Vardah through the glass windows. 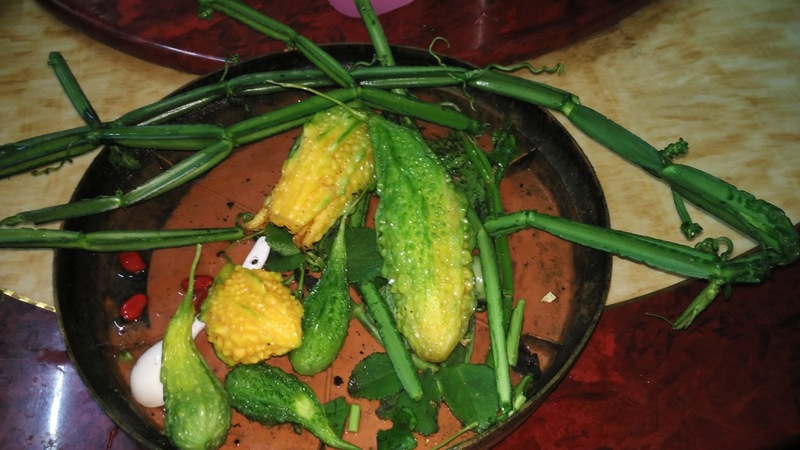 Dec 12,2016 : 11:50AM – It was until I received a call from home stating that my plants are being reckoned by Vardah, that I wanted to remain safe indoors. This was really when I regretted that I should have stayed home to safeguard my little saplings and plants. Dec 12,2016 : 12:10PM – Exactly now, Vardah has started to become catastrophic, blowing the entire Chennai with her roars and howls. But I nevertheless booked a cab with just one thought in my mind “I need to protect my garden.” No, they were not just plants but my passion and efforts for nearly a couple of years. 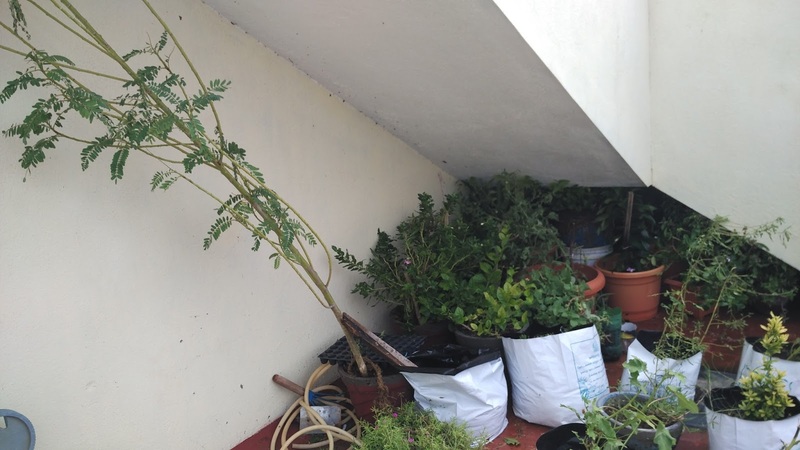 Dec 12,2016 : 12:15PM – I still do not understand who gave me the confidence and faith, that I can fight the deadly winds and reach home to preserve my plants. 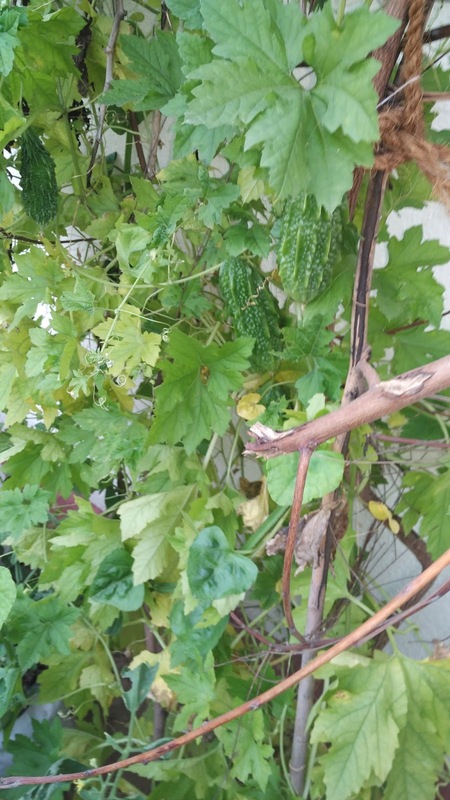 The best part is, without the least panic about Vardah, I was creating a rescue plan in mind for my garden. Dec 12,2016 : 12:50PM – Miraculously reached home without much of threatening impediments or rather I cared the least about it. While my whole family was anxiously waiting for my safe arrival, all I did was to throw my handbag at the entrance of my house and run to the terrace like a mother waiting to see her abandoned child. Dec 12,2016 : 12:50 to 1:55PM – I saw all my plants fluttering to and fro to fight against the aggressive Vardah. I felt that all of them had got a strong hope that I would definitely save them. 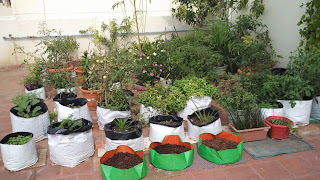 With Rich Faith, got to the grounds and put in all my might to save my plants as fast as I could. With Hope I prayed God to give me more strength that I should complete, because all my pains and efforts would go in vain if I don’t succeed in atleast trying to save all of them. It was not a tough job for the devastating Vardah, which broke even steel buildings, to ward off me from doing my job. I was indeed very tiring to fight against the winds and redeem my plants. But at the very moment I saw my plants combat the fatal winds and Vardah encroaching my garden slowly, I regrouped all the courage to get back to work right from the place where I left. 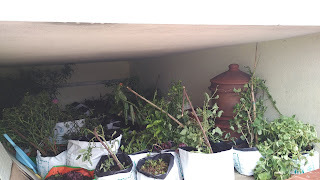 After the tremendous and tiring battle I shifted all plants except 2 trees which were too heavy to be carried. All I could do for them is to pray God earnestly to save them and help them remain fruitful. 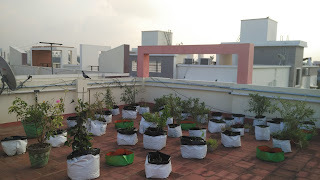 The sad part of this is that despite my efforts, I couldn’t succeed in saving a few of my favorite plants which couldn’t withstand the wrath of Vardah. A few among that are the bitter guard plant which gave us its benefits on just the previous day, the green chillies and Priandai(Adamant Creeper). But I made it a point I never wasted the smallest part of them and collected all the left overs from the plants, even though they are all dead! 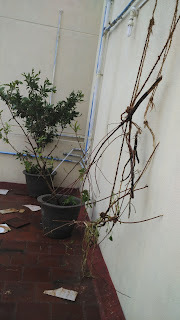 One Cement Pot with Jasmine Plant was broken when I lifted it as being drenched heavily in rain… Somehow I saved it and able to understand the nature..It can easily adapt and live for years with little help..
Last but not the least the Guava tree proved her perseverance and sturdiness by giving Vardah, a strong fight and succeeded to stand upright. She fed us with her tasty fruits for the next few days. I had noticed that I had got a few injuries in the arduous battle, which never pained until I accomplished the task. · The love and dedication you have for doing things which you are passionate about, is enormous. · Only when people are passionate and have true love for something/someone, they will be ready to take risks to save the other. This I understood when I saw others at my house having the least pains in seeing my garden getting destroyed. 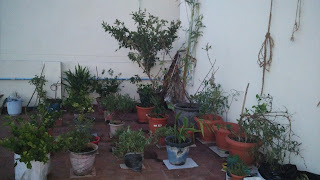 I felt the pain along with my plants because they were not just plants but my efforts and endeavor. · I got this character from my dad who has such love and the zeal to complete a task especially when it includes heavy Physical Work… Thank u Appa for setting a living example. Excellent post Jeni! I know your passion for plants to a good extent. Can empathize with the feeling! Your story telling ability & vocabulary are great! For the lost 2, plant 4 more and make up for the loss! That's the beauty of nature, it keeps giving us! I and Sai had been to your home once and we wondered how you are maintaining all the plants. Nice blog...It will be a benchmark akka!! !Keep continuing .!!! Nice blog jeni... very expressive lines...keep up the good work...I would suggest to write more blogs on how to plant and maintain different saplings which would be helpful for the people who has same interest to start with. Nice blog Jeni ..Excellent narration and vocabulary which made me feel the strong winds and your pain ...even when I am comfortably reading this sitting in the warmth of my home ..yes indeed passion and inner strength can move mountains ...the nature will indeed bless and thank you for all your efforts ..so proud to have a friend like you ..love you dear ..keep up your good work and waiting for your upcoming posts on gardening ..
😃 Nanbaen da...Thank u Anya...also want to express how much happiness I had when u enquired about my Garden after Vardah.. Thank u Sathya.. exactly the love made me so emotional.. The way you narrated the situation was awesome. Great effort and passion. Glad to see that you are garden is back post vardah. Your narration bought the terrific scenes in front of my eyes Jeni. Glad to see your garden back. Worth your fight against Vardah for your loved ones. Superb one Jeni. I could literally witness the scene at 12.50... feel like travelling along with you. Wanted to save those kids. Eventually you did it. Instead of reading u viewed the Blog I guess..Good..Thanks Yogesh..
Wow amazing jeni..you are definitely an aspirant.